Easy Camp Folding Furniture features steel frames and smart, durable fabrics in practical designs with lively stripes for super style. Taking just seconds to set up without fuss for instant relaxation, our sturdy, comfortable designs pack away easily into their own bags for storage and transport. 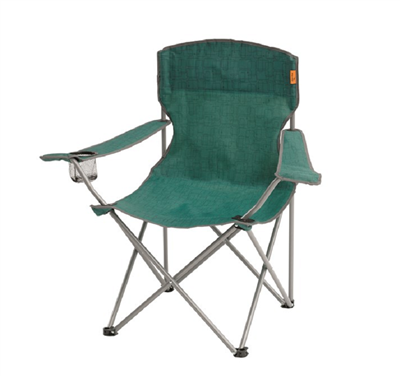 The Easy Camp Boca classic folding chair lets you rest on the go, wherever you are. Simply unfold it and take a seat. The bottle holder in the armrest gives you somewhere to put your drink, and the handy carry bag makes it easy to take from place to place. Lightweight with no assembly required, it’s a great choice to keep in the car boot for whenever you need it.